In my tileset it became piece of cake! 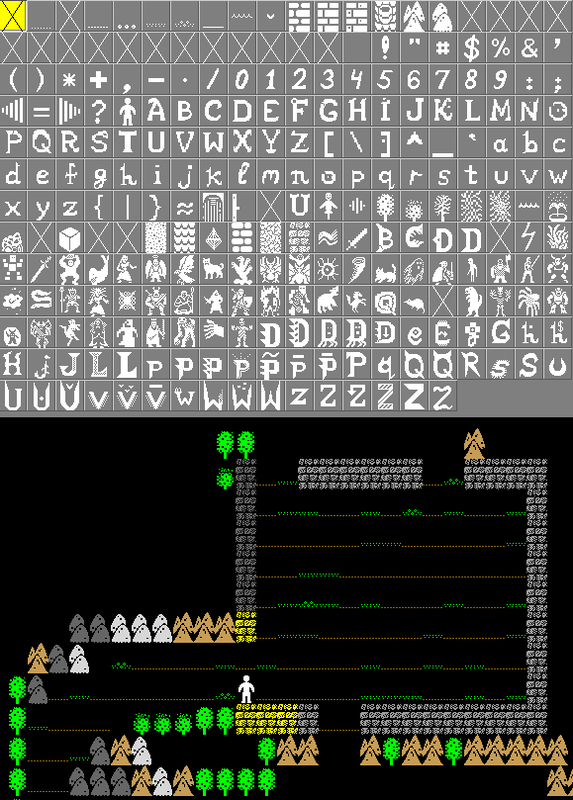 Soon tileset would be included to TomeNET installation package, but for now you could download it and setup manually. 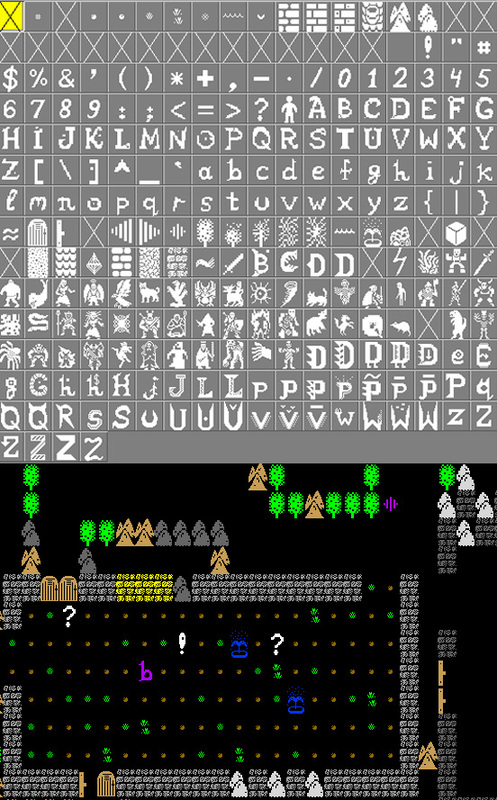 To check which tileset sizes are in-build to the game client: in-game push “=” -> “f” and use “+” and “-” to surf through fonts 🙂 There you need to find proper size of the font for your particular screen resolution. 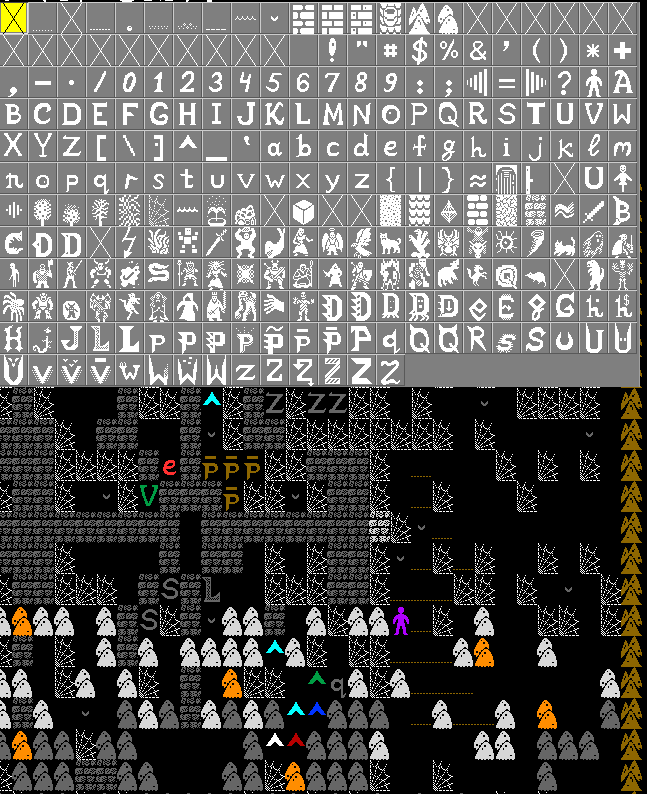 IMPORTANT: tileset sizes are files which got TG on the end of the file name, eg 24×36TG.FON. 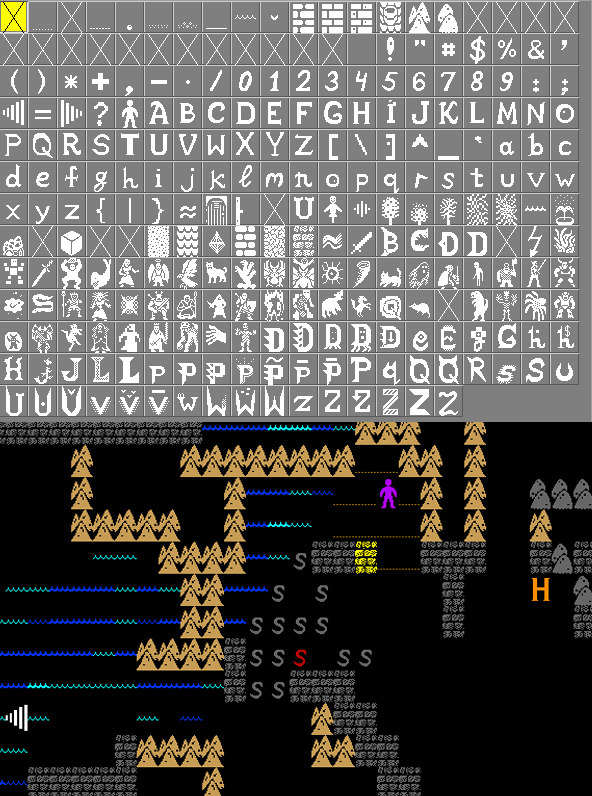 Files like 16X24.FON are not tileset files, it’s ordinary fonts. for the first two windows – [Main window] and [Mirror window]. Windows 7 and higher cause file access trouble when the client tries to write userdata to the folder where TomeNET is installed. Instead, user data needs to be in the system-specific user home folder (usually “C:\users”). Because of that, on first launch the Windows client now copies the lib/scpt and lib/user folder to the user’s home path and then uses that copy instead. If you use an older Windows version and/or know what you are doing, you can edit TomeNET.ini config file and set “DontMoveUser” option to “1” before actually launching the client to prevent this behaviour. 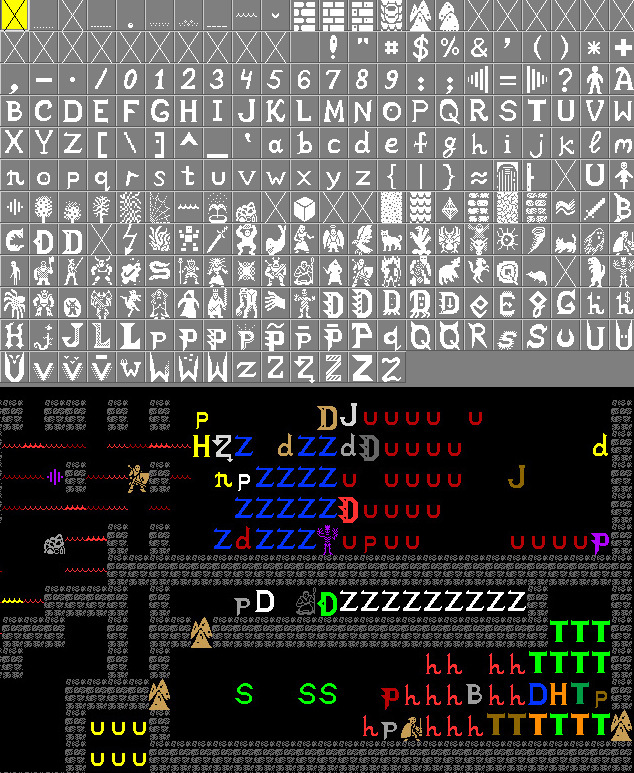 If you wanna recustomize tileset at Linux, please check this manual – how to convert your font to Linux format. – Version 2.0.0 – added a lot of new sizes; added Linux support. 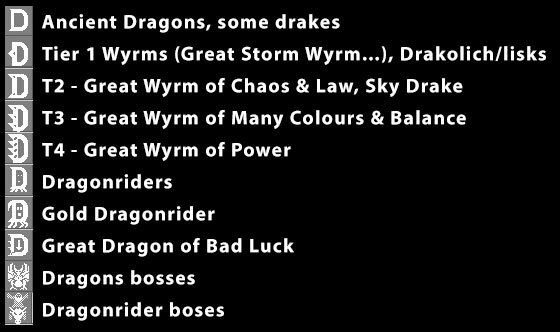 Credits for resizing: Tangar, Lavas, azbeast, Faradey, Darkins, Lich. 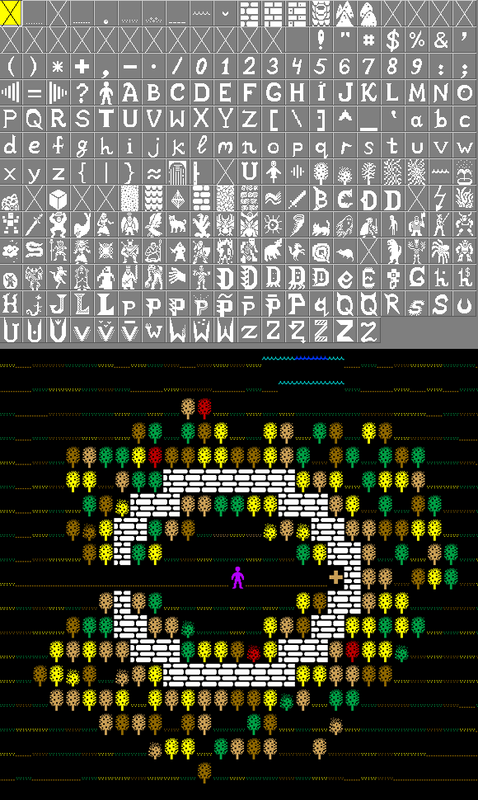 Linux tileset port made by Meregord. The Stormbringer (glyph deleted cause it’s protected at server). 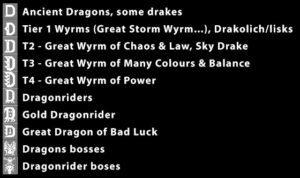 As right now we trying to find solution to use more glyphs, this version available only for 24×36 size (in hope that 2.0 version would have more free glyphs). 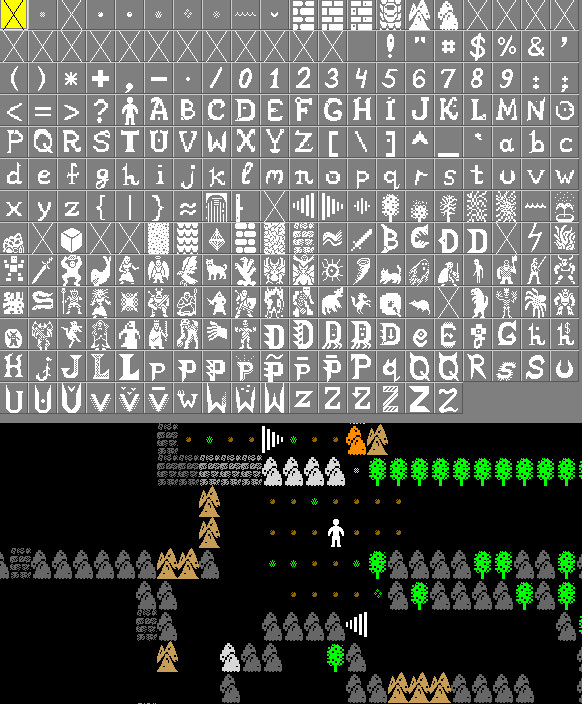 – Version 1.4 – Redraw of all floor tiles & updated other monsters/objects. Also we got 2 additional tiles cause of staircase duplication. Now we got new Tier ‘0’ for dangerous middle-lvl demons and… surprise in Bree 🙂 Aaaand fixed a bug – now staircases displayed correctly at the map (screenshot). 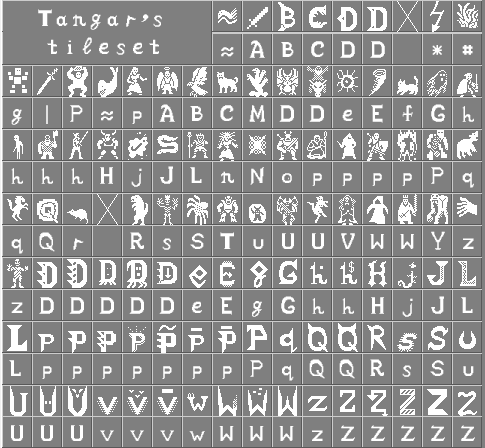 ‘Tangar’s tileset’ project is in public domain; you are free to use it however you like; but it would be very nice if you would give a credit to TomeNET and put a link to http://tomenet.eu 🙂 Thank you!